Updated Wednesday June 15, 2016 by Dale Hamill. 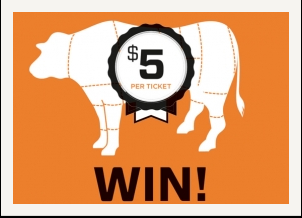 Thank you to all of you who sold tickets for our Beef Raffle Fundraiser. Congrats to Jenny MacLachlan for her winning ticket. The winning ticket was sold at our Blaze Spring Round Robin. Thank you to Byron Center Meats for the support this year for our fundraisers.